Are the government's with the Maduro regime so strong? Is there no red line that transcends these ties? 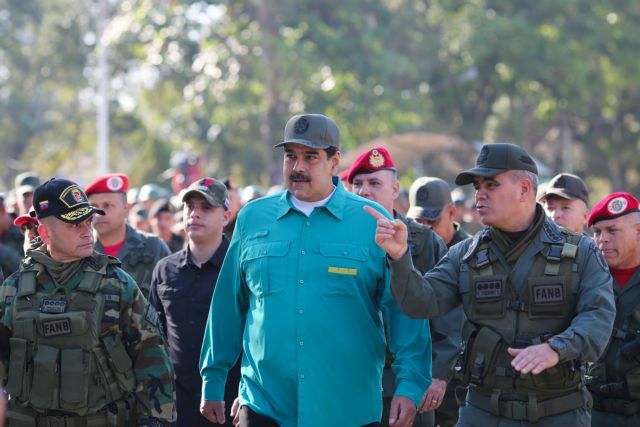 The Tsipras government along with those of Austria and Italy are the only ones who have lent support to the Maduro regime. Greece is justly proud that it gave birth to democracy. It is therefore oxymoronic if not humiliating for our government to support a regime that violates democratic principles and values one after the other. It is offensive to offer support to a government which resorts to brutal coercion to suppress the popular reaction, and to remain indifferent to violence in the name of ideological elective affinities. In this respect, the distance between Athens and Caracas should be enormous, but unfortunately it is not. In other words, a self-proclaimed left-wing government is aligning itself with the right-wing and far right government of Austria and the populist-extreme right coalition that is governing Italy. What is the purpose of this support? Are the ties of our government with the Maduro regime so strong? Is there no red line that transcends these ties? Those in power here should know that democracy is a continual exercise and a perpetual challenge. It is not enough for democratic regimes to serve the principles and values of democracy at home. They must also promote democratic ideals outside their borders. This is all the more true in the case of Caracas.